After great Harbour of Tears I did not expect from Andy Latimer anything that could be even close to this music. And then surprise or rather shock. 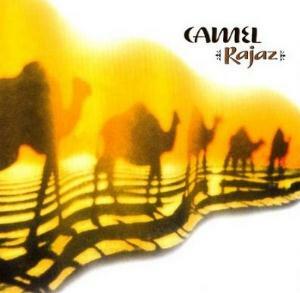 Rajaz is without doubts the best record from Camel. It is difficult to find anything better for prog fan not only in Camel's music. I can find only some single songs comparable, mainly from Jethro Tull. But not to many and not on a one record. What could compete as a whole record? Maybe Moving Pictures, maybe Heavy Horses, but maybe makes a difference. Rajaz is brilliant. It collects the best of the best sounds and prog melodies. Straight to My Heart you can repeat and listen for hours. Whole record you can repeat and repeat. It is difficult to rate. There is no scale for such music. A masterpiece. One of 3 records that I have to take going to a small island. Or the only if I take one.